Comment: 20 year old home. Cathedral ceilings throughout. Just over 1700 s.f. Some of the kneewalls may need insulation reattatched used thermo camera to determine this. Comment: Home inspection was completed and found 4 spots in attics that need insulation. It is cellulose. Comment: Preexisting batting in exterior walls, blown insulation in attic space. 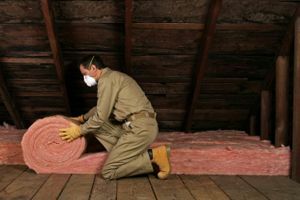 - Remove blown insulation, apply foam insulation to all existing exterior walls, includes full foam envelopment of the entire attic space. Potential need for wall construction for separation in garage attic space. Existing air handler in attic is all electric heat-pump, no need for combustion separation. Comment: I would like to get an estimate for insulating a 24x24x10 metal building. Comment: The house was built in 2003, the blown in insulation is already compacted. Need to replace it. Avondale Insulation Contractors are rated 4.71 out of 5 based on 1,591 reviews of 14 pros. Not Looking for Insulation Contractors in Avondale, AZ?